Haywards Heath Methodist Church belongs to the Central Sussex United Area of the Methodist and United Reformed Churches, which is an ecumenical group comprising 27 churches. We share resources of ordained ministers and local/lay preachers in a joint strategy for mission and ministry. 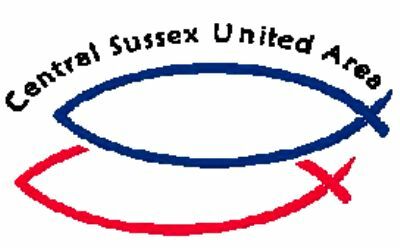 As well as Methodist and United Reformed congregations, we have a number of united churches, as well as two Anglican-Methodist churches and an Anglican-Methodist primary school in Eastbourne. The United Area functions as a Methodist 'circuit' within the South-East District of the Methodist Church and as a 'synod area' within the URC Southern Synod. The newsletter, which is published three to four times a year for the Central Sussex United Area, contains stories relating to the churches and people in our United Area.